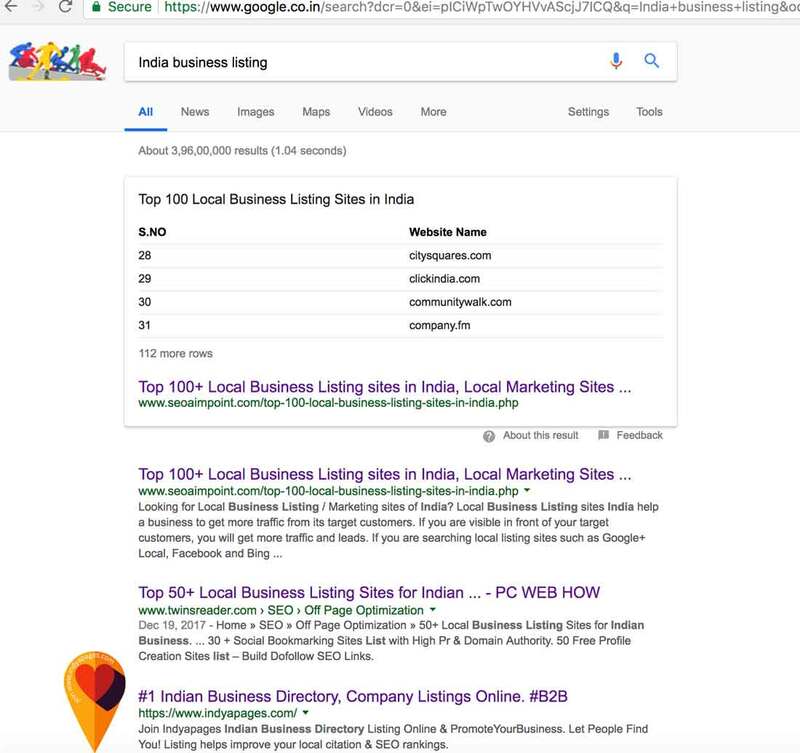 What are the Top 5 Business Listing Sites in India on Google search? Here we wanted to find out top 5 business listing site for your local business. Especially if your business location is from India, and serve customers from India or abroad as a service provider or manufacturer, trader etc. you must list your business in these business listing sites to build your online presence. I must say here that these sites are other than the top social media sites like Facebook, Twitter, Pinterest, Youtube, Instagram etc, though they are social media sites but acts as business listing sites. Yes off course, we missed out google local listing, where you as a local business must list your company, local business profile. What I wanted to emphasis is that my top 5 business directory sites to list your business is completely based on google search. So, I started by opening google, and used google chrome search extension. 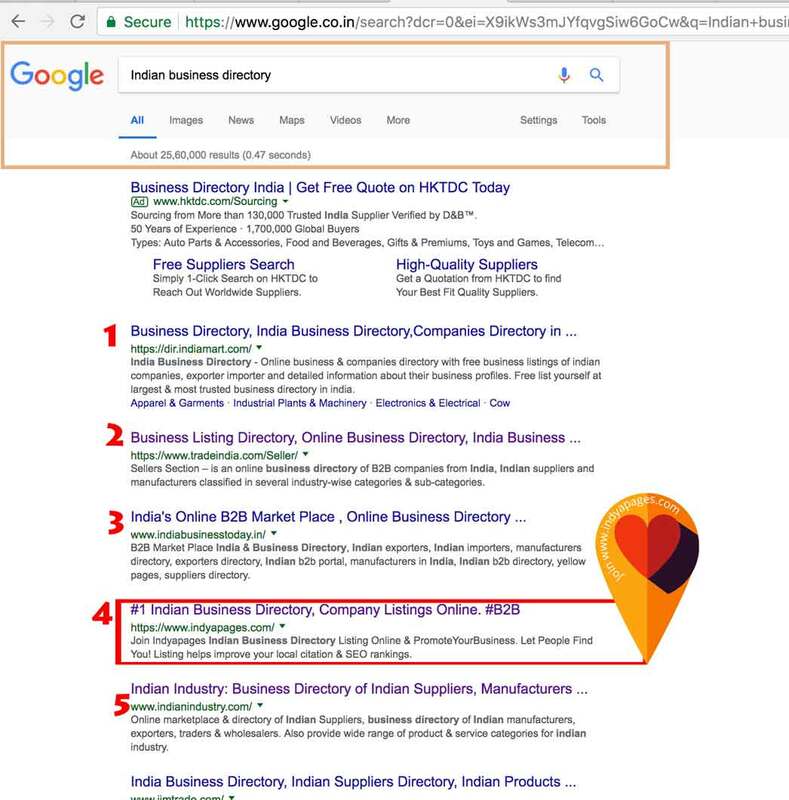 As you will see from the below result, I searched for "Indian business directory". The search result threw up the following result as you can see. 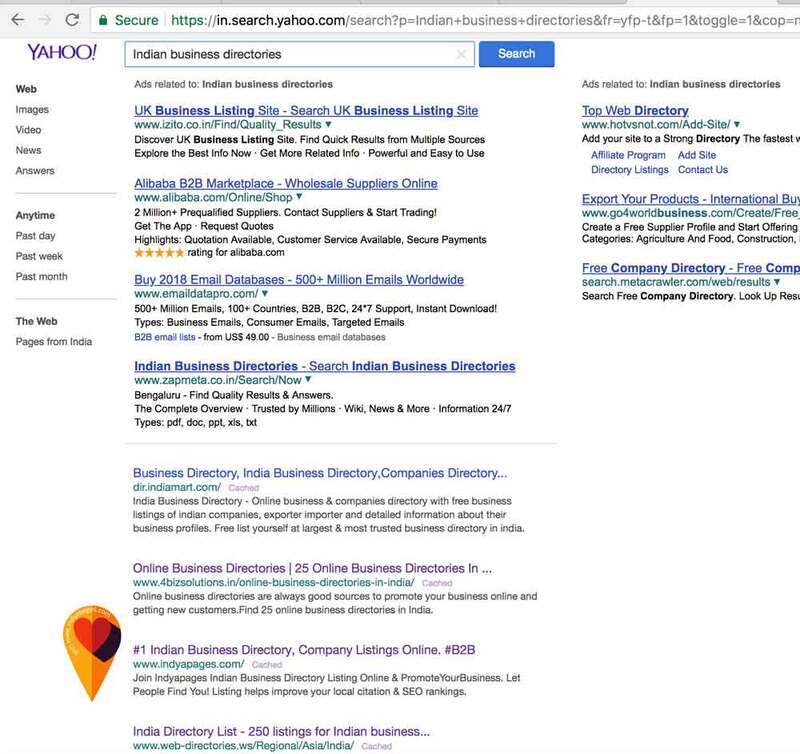 We did an another search specifically for India Business Listing in Google Search. And here is the result for all to see. As mentioned above to get a good online presence for your business in local market, city in India, it's of very important for you to create your business profile listing in the above business directory or business listing sites. We also did a similar search in yahoo India too. The results are quite similar. Here IndiaMart is at #1 and at #2 It's IndyaPages Business listing site.